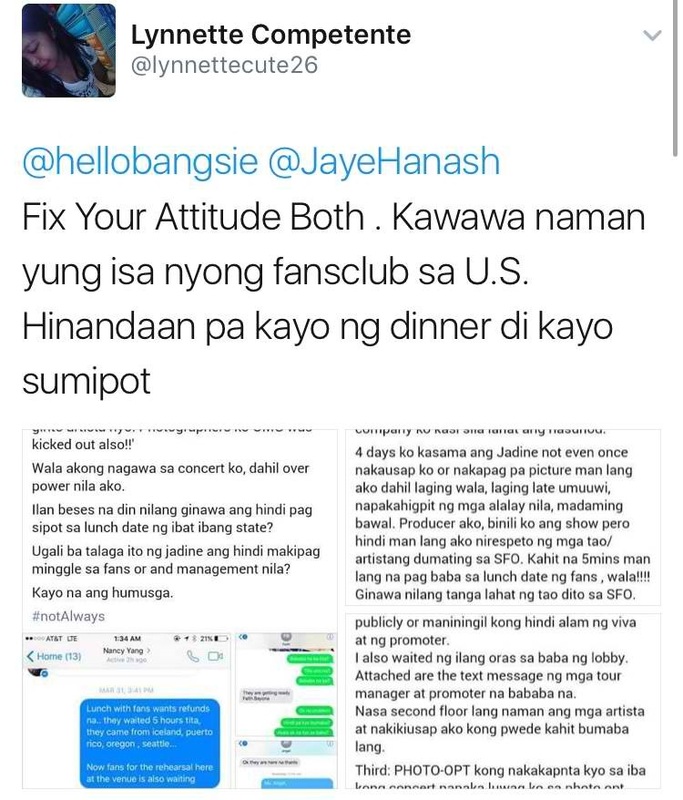 Nadine Lustre reacted to a post made by a netizen who advised her and her on-screen partner and boyfriend James Reid to fix their attitudes. 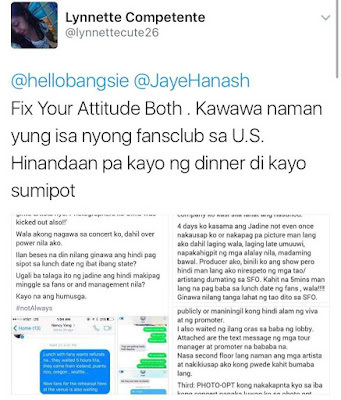 It was alleged that JaDine failed to be with their fans ,who waited for 5 hours, for a dinner date during their US tour. The netizen also uploaded the screenshots of statement of Elaine, the producer of their US tour concert. 'R U okay?' the actress said to the netizen's tweet. VIVA Live already issued a statement denying that there was such a schedule appearance.